BJP president Amit Shah on Saturday said Bangladeshi migrants are "termites" who would soon be struck off the country's electoral rolls, reports NDTV. 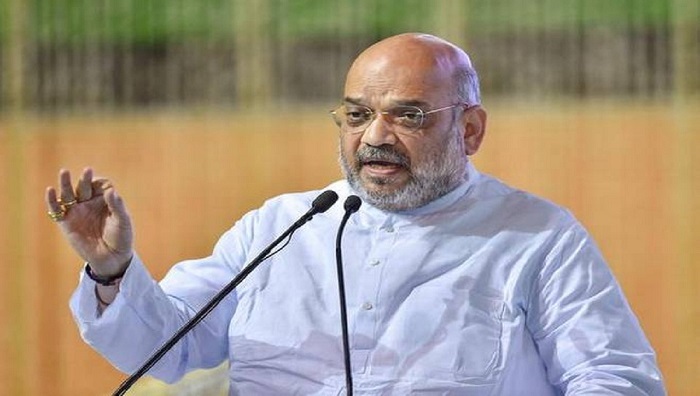 Shah, who was addressing a public rally at Gangapur in Rajasthan's Sawai Madhopur district ahead of the state assembly elections, went on to credit the BJP government with publishing the National Register of Citizens in Assam and identifying "nearly 40 lakh" illegal immigrants. "It will now pick out each and every infiltrator," he said. The BJP president went on to describe the Vasundhara Raje government in Rajasthan as an unshakeable "Angad ka Paon" that cannot be dislodged by the opposition. He was referring to a character in the Ramayana who possessed a foot that even demon king Ravana could not move. The Congress cannot help the country because it has neither a leader nor a policy, Shah said, adding that party president Rahul Gandhi should deliver an account of what his own family has done for the country in the last four generations before asking the BJP to list out its achievements over the last four years. He claimed that Rajasthan had been a "sick state" before Ms Raje opened its doors to progress. The BJP president later went on to attend another event in Kota. He had visited Rajasthan earlier this month to review preparations for the party's election campaign.